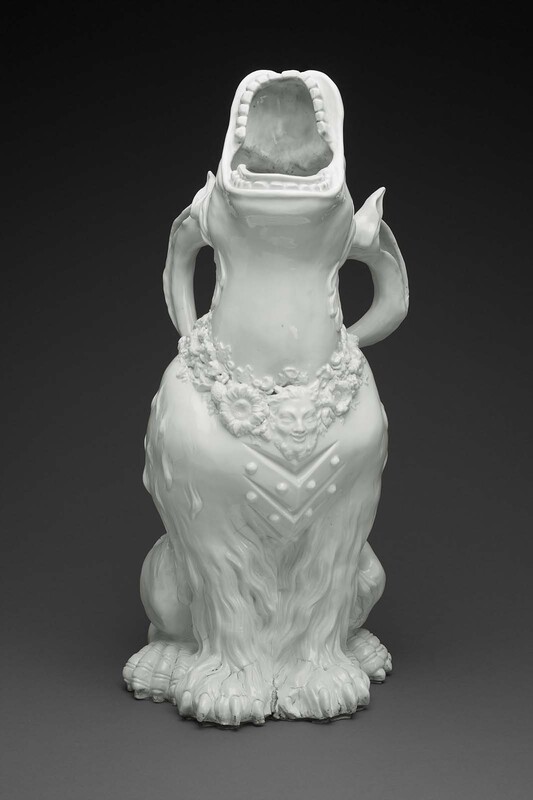 White ewer formed as a fabulous beast, its jaws wide open and its horn touching its back, a collar of fruit and flowers centered on a mask around its neck, its breast with studded chevrons and its clawed feet vigorously modeled. Augustus II (“the Strong”) began building the Japanese Palace in Dresden in 1725 and commissioned more than 35,000 porcelain works from the nearby Meissen porcelain manufactory to furnish his "porcelain palace." The original collection featured more than 500 large bird and animal figures; among these were 37 animal species and 32 bird species. Augustus II died in 1733 and his son Augustus III took over the project. The Japanese Palace became a museum and library after the death of Augustus III, and parts of the collection were sold and traded in the 18th and 19th centuries. 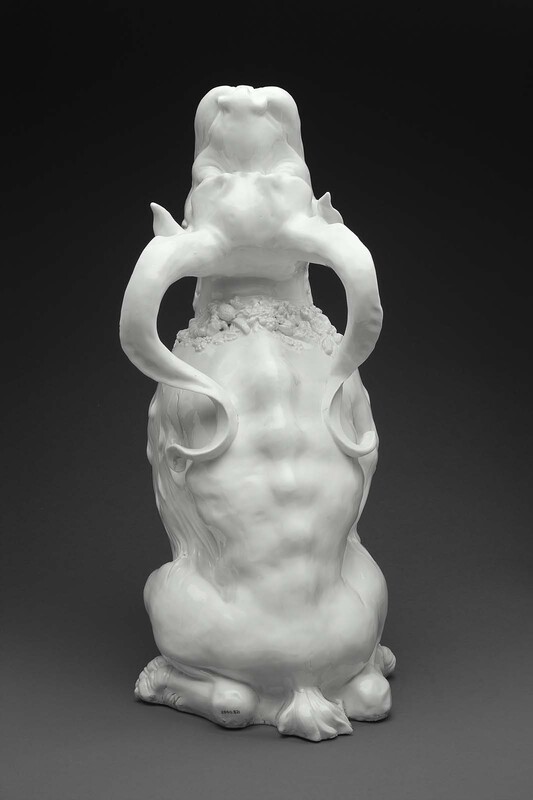 According to Ronald Freyberger (verbal communication; May 13, 2009), the MFA Meissen Dragon is identical to the one in the Dinshaw collection, which can be seen in photographs of his Fifth Avenue home (taken about 1940s; the house was demolished in 1962, after which the collection was dispersed). See "Important European Furniture, Works of Art, Ceramics, Carpets and Tapestries," Christie's, New York, May 20, 2008, pp. 222-224. 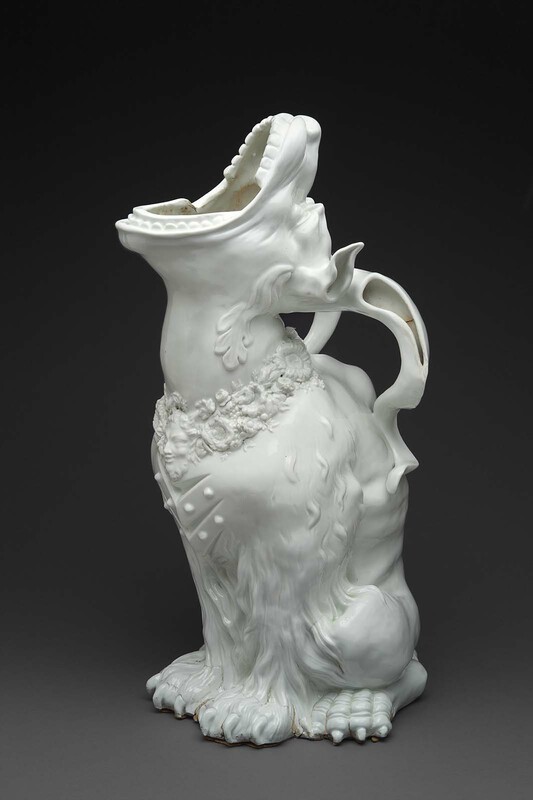 According to Freyberger (as above, n. 2), The Antique Porcelain Company may have acquired the object from the Dinshaw collection.